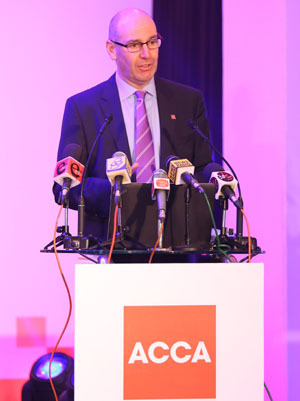 ACCA (the Association of Chartered Certified Accountants) takes a major step forward in shaping the future of accountancy by unveiling major innovations to its Master’s level qualification, tailored to meet the strategic challenges of the 21st century’s disruptive economy. The latest innovations to its qualification are new Strategic Professional exams which will replace the existing Professional level exams in September 2018, and a new Ethics and Professional Skills module, which will be introduced in 2017. This new groundbreaking design of ACCA’s qualification draws on an extensive, two-year review and consultation with members, employers and learning providers.